The Elo 2293L 22" open-frame LCD touch display features a slim design and narrow outside dimensions due to the state-of-the art energy-saving LED backlight, using less electricity to operate and generating less heat. The 2293L instantly grabs and holds the users' attention for kiosks, casino and amusement, retail self-service, and industrial floor automation. 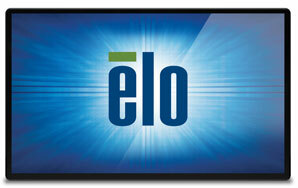 The Elo E179842 is also known as Elo Touch Systems	ELO-E179842	.